SPICE offers business loans at a fixed 5% interest rate for individuals in the SPICE service area! 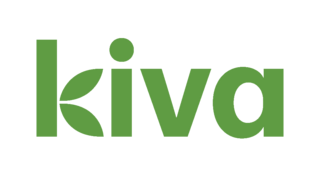 KIVA is a peer to peer lending platform that allows small business owners and non-profit leaders to crowd-fund, zero interest loans up to $10,000. The Southern Perry Business Support Network, SPBSN, is a program developed by SPICE and ACEnet. This program will assist in developing business lists for New Straitsville, Corning, and Shawnee and promote these local companies. As a resource to the community, the SPBSN has compiled a list of loans and grants that are available to businesses in Appalachia Ohio. (Perry County, Hocking County, and Athens County) You may download this list below. The Buckeye Hills Regional Council offers loans for businesses in the Buckeye Hills area. The Revolving Loan Funds are used to gap financing between a bank loan and what is still needed to fund a project. The Revolving Loan Fund cannot provide 100% of the funding needed for a proposed project.